Felice Original: GRAND OPENING OF MY NEW STORE AT DIGITAL JUNQUE EMPORIUM!!! 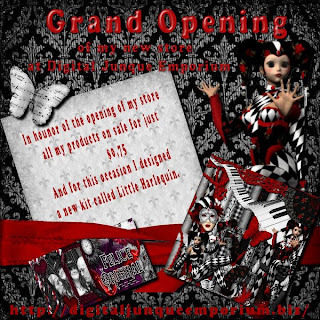 GRAND OPENING OF MY NEW STORE AT DIGITAL JUNQUE EMPORIUM!!! 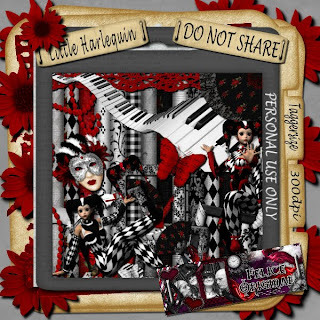 All my products are on sale for just $0,75. For this occasion I designed a new kit called "Little Harlequin". The sale is troughout the month of March . So take advantage of my sale and stack up!!! See you at my store.